Having already given their 1960s output the box set treatment, the Rolling Stones are now collecting their studio albums from 1971 through 2016 for an equally expansive package. The group will deliver the Studio Albums Vinyl Collection: 1971-2016 through ABKCO on June 15. That time period includes Stones staples such as Sticky Fingers, Some Girls and Exile on Main St., along with later career offerings like Steel Wheels, A Bigger Bang and 2016's Blue & Lonesome. All 15 full-lengths were remastered and cut at half-speed at Abbey Road Studios, with audio sourced from the original master tapes. Each album will arrive on heavyweight 180-gram black vinyl, with the box also including download codes for high quality digital versions. 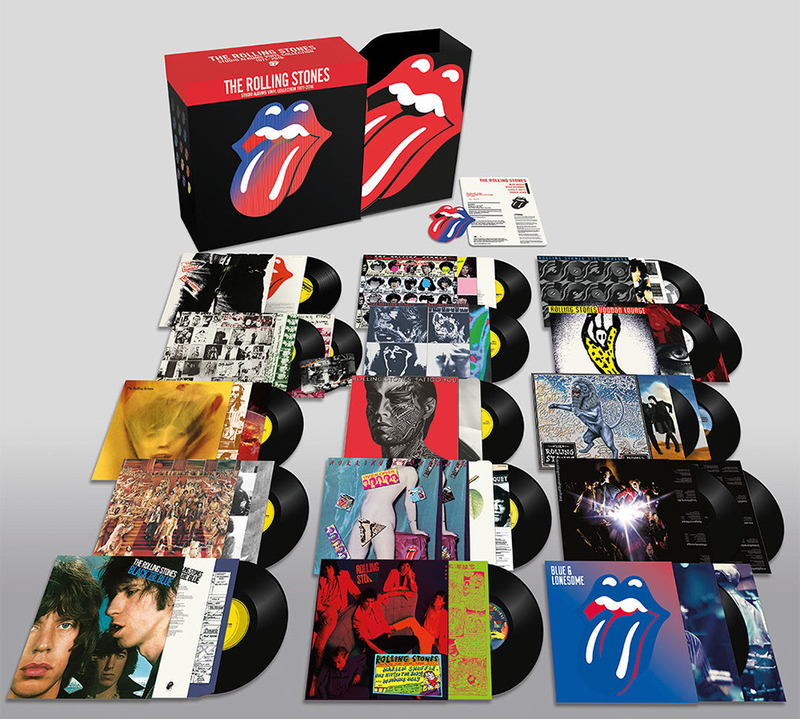 The set also includes detailed artwork reproduction for some of the Stones' more inventive packaging, namely the working zipper found on the cover of Sticky Fingers and the 20 cut-out faces that cover Some Girls. Exile on Main St. also comes complete with its set of 12 postcard inserts.